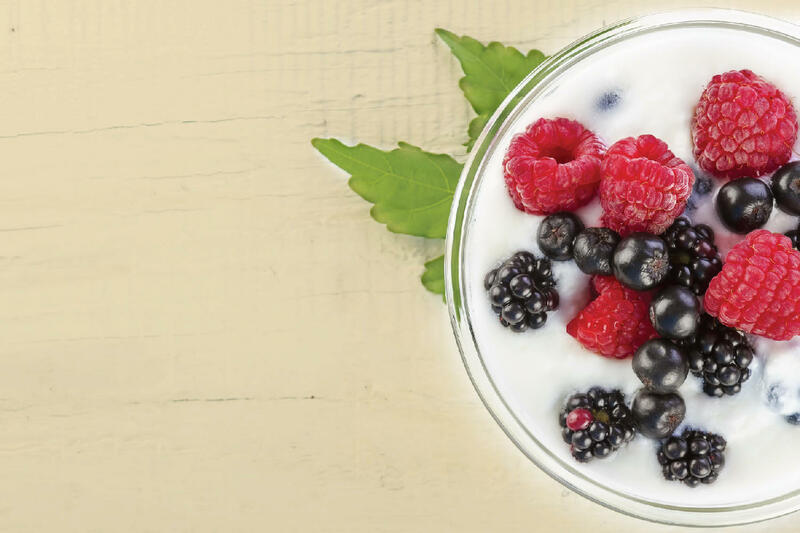 Learn about probiotics and how they can help support your body’s functions. The human body is riddled with bacteria. Our stomachs, for example, contain millions of so-called “good” bacteria that help us digest our food every day. However, sometimes these resident bacteria — also known as our gut flora — need a little boost in order to perform their duties. Probiotics are a type of dietary supplement that stimulates the growth of healthy microorganisms within the body. Included in these microorganisms are the natural gut bacteria that assist in digestive health. There are several different types of probiotics, all of which have varying health benefits based on their effects in the gut. The most commonly used probiotics in the United States are lactobacillus and bifidobacteria. Within the lactobacillus genus are many different species of bacteria. For example, lactobacillus acidophilus can be found in supplement form or in some yogurts, and can aid in the prevention of diarrhea and yeast infections. The bifidobacteria genus contains approximately 30 species of bacteria. These healthy bacteria reside in the colon and may help ease irritable bowel syndrome (IBS) and its symptoms, such as abdominal pain, bloating and gas. Bifidobacteria are also known to have beneficial effects on metabolism. Probiotics are used to prevent and treat a variety of conditions and diseases such as acute diarrhea, lactose intolerance, respiratory infections, tooth decay and even atopic eczema. A study published by the Clinical Infectious Diseases journal suggests probiotics may inhibit the initiation or progression of some bladder and colon cancers. Probiotics can also help with antibiotic-induced gastrointestinal issues. In a study published by The Journal of the American Medical Association in 2012, scientists discovered that probiotics reduced the effects of antibiotic-associated diarrhea by up to 42 percent. The study found that “potentially, probiotics maintain or restore gut microecology during or after antibiotic treatment through receptor competition and competition for nutrients.” This means that probiotics, when introduced into an environment where antibiotics are causing intestinal distress, can intervene and inhibit the antibiotics from causing clinical symptoms such as diarrhea. Many supplement users do not suffer from such severe conditions, probiotics may benefit even the healthiest of people. Due to pasteurization and the need to prolong our foods’ shelf lives, many “good” bacteria are taken out of the things we eat. By adding a probiotic to your supplement regimen, you are reintroducing healthy, helpful bacteria into your digestive system. Many yogurts and other dairy products include a strain of live bacteria. In November 2012, the Journal of Functional Foods found that people who consumed yogurt “containing two novel strains of probiotics experienced small losses in body fat.” Check food labels for live culture information to reap the benefits of natural probiotic sources. Other conditions probiotics may help include oral health and blood pressure — an article published by Berkeley Wellness of the University of California in 2014 states that bacteria in the mouth can benefit from probiotic supplementation. “An increasing number of probiotic lozenges and gums are being promoted for oral health…to reduce periodontal disease, throat infections” and halitosis. Another simple way to get the daily dose of healthy bacteria is to supplement them in your diet. Many probiotic supplements today include several different strains of bacteria, helping to meet your body’s needs for a variety of “good” bacteria. Talk to your doctor to determine the best supplement and probiotic regimen for you — everyone’s bacterial needs are different. Taking a probiotic supplement may help boost not only your immune system, but your overall health and well-being. Are you getting enough good bacteria in your diet?